Here is a list of resources including team building activities, personality and career assessments, books and additional training resources. Click on the images below to find out more about these incredible resources that I’ve used and recommend. Check back for additional resources to be added! This is a collection of team building activities, icebreakers, and group games. Great resource for team leaders, educators, youth leaders, and more. Sign up for a free plan or one of the paid plans. Click here for more info. 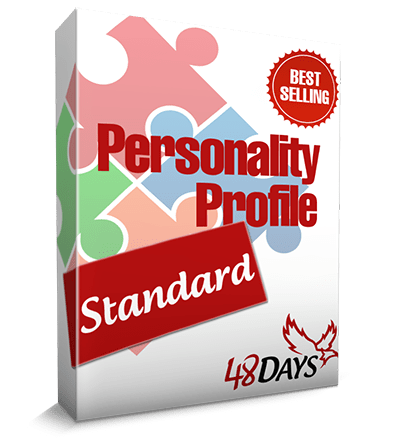 I have used personality and career assessments for several years. The DISC assessment is one of the first ones that I’ve used and feel that it is also one of the most thorough that you can do. Combined with career assessment, it is a good investment for anyone whether you need to find your calling or to confirm it. Click here for more info. This is one of the few books I would call “life-changing,” and this book really changed the course of my career and set me on a new journey, and I will forever be grateful to Dan Miller and the work that he does. (Click here for a ton of resources from Dan Miller and the 48 Days team). Teampedia is a site that has a large number of free team building activities, icebreakers, and more. It also has a list of team building blogs, team building companies, and additional resources for your team. It’s a great collection of different activities that can be used in a variety of settings. Click here for more info. Business Balls offers free team building games, resources, articles, and leadership development resources for businesses and teams. The good news: There’s a lot of content. The bad news: there’s a LOT of content. They offer a search feature if you know what you’re looking for, and they have activities listed according to category, but if you’re not sure what you’re looking for, it can be a bit daunting. All in all, it’s a great resource for teams who know what they need and/or have some time to dig for it a bit. Click here for more info. This site has a handful of team building activities, as well as a few icebreaker ideas. If you’re short on time and just need a few ideas, check out what’s available on their website. There’s not a lot of content, but each activity has a PDF that you can download, print off, and take with you to lead the activity. Click here for more info. A 48 Days schedule to accompany the book, 48 Days to the Work You Love, and keep you on track to complete the book and the assignments. The Business Planning Guide that accompanies the book, No More Dreaded Mondays. Much, much more! Visit 48 Days to get even more valuable free content. Hey Will, I note that the playmeo link on your page here does not work. Can you look into that – you;r emissing lots of affiliate juice there (presuming, you have set yourself up to be a playmeo affiliate).